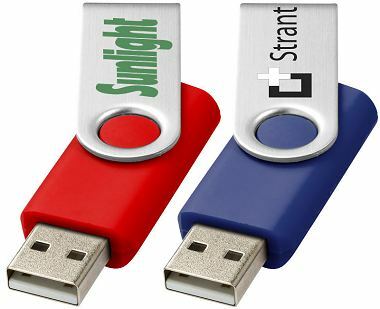 Twister USB Flash Drives 6 days delivery for twister USB sticks minimum 25. For the 6 day lead time the memory sizes are 1GB, 2GB, 4GB, 8GB. For the normal lead time other sizes are available so please ask. The lead time for this version is 6 working days with the colours shown above. For a lead time of 3 working days in Black or White please see CPU17E. They cost a bit more but the minimum order is only 25. For all other colours including pantone and a standard lead time please see CPU17. These are cheaper and ideal when you have easy timescales.